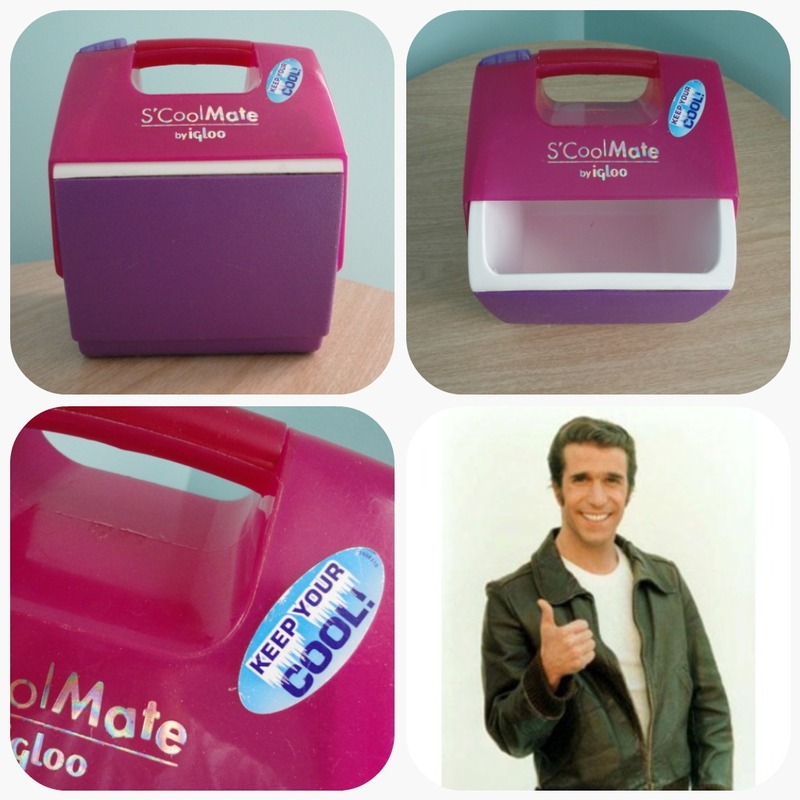 Ayyyy, I’m S’cool Mate, I’m kinda like the Fonz of lunch boxes. I’m so good at keepin’ it cool I get to stay in Lin’s locker and don’t have to hang out in the staff fridge, thankfully, because who really knows what comes to life in there after the door is shut and the light goes off. My signature look is hot pink on top and purple on the bottom. I’m not only good-looking, but I’m tough and hold a lot of stuff too—like Lin’s Pyrex containers, snack bags, and an ice pack. Lin is pretty cool, too, she likes paper dolls, Mary Tyler Moore, Jillian Michaels 30 Day Shred, and cold Cokes on ice. At a moment’s notice she will break into song and dance and if she wasn’t a Librarian, I’m pretty sure she would have been a jingle writer. Lin dines with me most of the time, but I also know she loves going out to eat. In the past I would witness her twisting udandi’s arm to eat out even though I was already packed for lunch. When she would come back after lunch I would notice little Penn Station mints in her locker and the smell of Skyline Chili on her purse, but all that has changed since she’s started Lunch it Punch it. Join Lin, FM, udandi and me, S’cool Mate, by printing the the official Lunch It, Punch It card and make 2011 the year you pack a lunch to punch a goal! Your company’s fridge sounds like mine! More a science experiment than a kitchen appliance really. oh totally forgot about the cheese-gnarly! You think if we took a photo we’d lose our jobs? Yeah I thought so! I have a S’Cool Mate, best darn cooler ever!